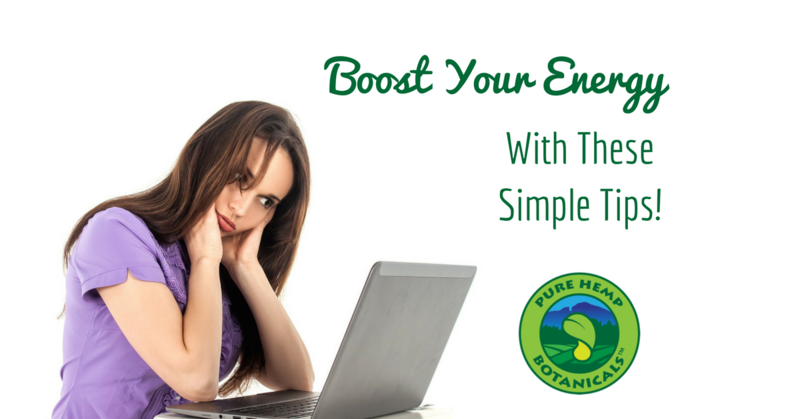 Boost Your Energy With These Simple Tips! Home/Healthy Lifestyle, Uncategorized/Boost Your Energy With These Simple Tips! As we get near the end of the week, it’s a common time for people to find their focus drifting and energy levels dropping. For today’s blog, I thought it would be fun to share some pick-me-up snacks, and other energy-boosting tips! 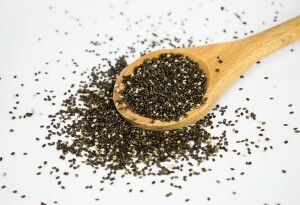 Chia seeds may be tiny and unassuming, but believe it or not, they’re a nutritional powerhouse! Chia seeds are packed with an energizing combination of B vitamins, fiber, and protein, so they help give you a boost without the jitters that caffeine can bring on. Yerba mate is a delicious South American tea, full of vitamins and caffeine. 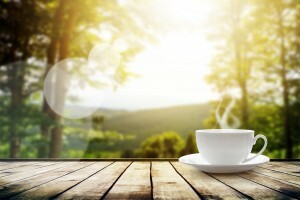 Many people find that yerba mate is a great alternative to coffee for boosting energy and focus. Our Hemptealicious Peppermint Mate Tea is made of organic yerba mate, organic peppermint and organic hemp, blended together for an energizing and delicious drink! If you have trouble getting up and staying awake in the mornings, consider a little hydrotherapy to get you going! 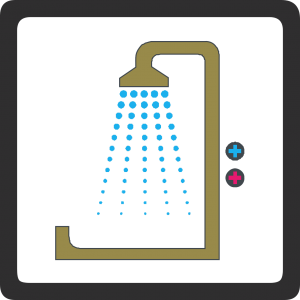 At the end of your next shower, alternate between hot and cold water for several seconds. This will help increase your circulation and give you a nice, refreshing wake-up! Did you know that hempseeds are used in performance-boosting energy shakes? Athletes love hemp because of its incredible array of proteins, omegas and the other vital nutrients it offers. CBD is coming into the athletic scene as well, especially for its anti-inflammatory properties. 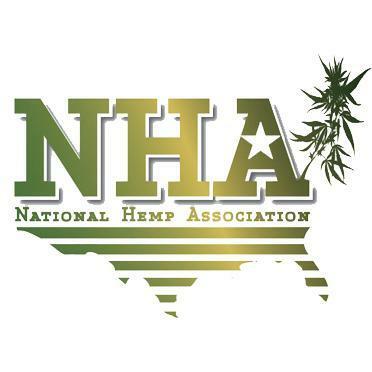 Not only is hemp a popular energy snack, but it’s a delicious one too! Here are some super tasty energy snacks that you can make easily at home, with hemp seeds as a wellness-enhancing boost! If you want to take it to the next level, add some tincture to each ball! There’s no wrong way to do it, so get creative! Enjoy this great video from S’wonderfully Vegan! Put 1 cup of nuts of your choice into the food processor and process until it looks like crumbs. Add the pitted medjool dates, cacao or carob powder, vanilla bean powder, and cinnamon. Process until a ‘dough’ ball forms. Take your mixture out of the food processor and with your hand, roll into balls. Dip each ball in toppings listed above or add another, of your choice.